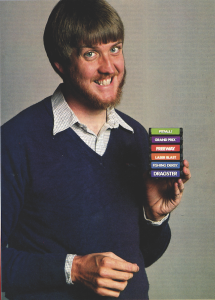 David Crane, video gaming industry’s pioneer. 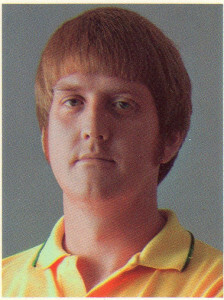 The man behind such classic titles as Pitfall, Ghostbusters, A Boy and His Blob, and Amazing Tennis. 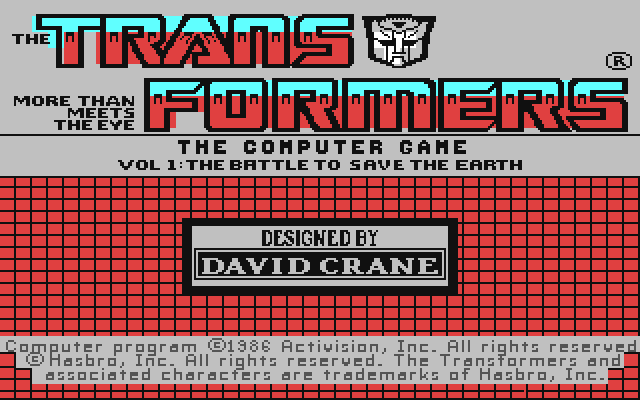 Mr. Crane is also the man behind ‘The Transformers: Battle to Save Earth’. 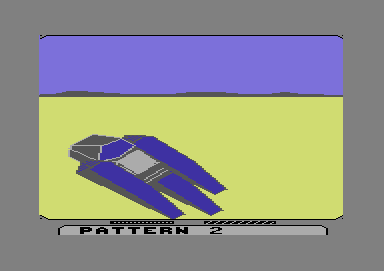 A game for the Commodore 64. 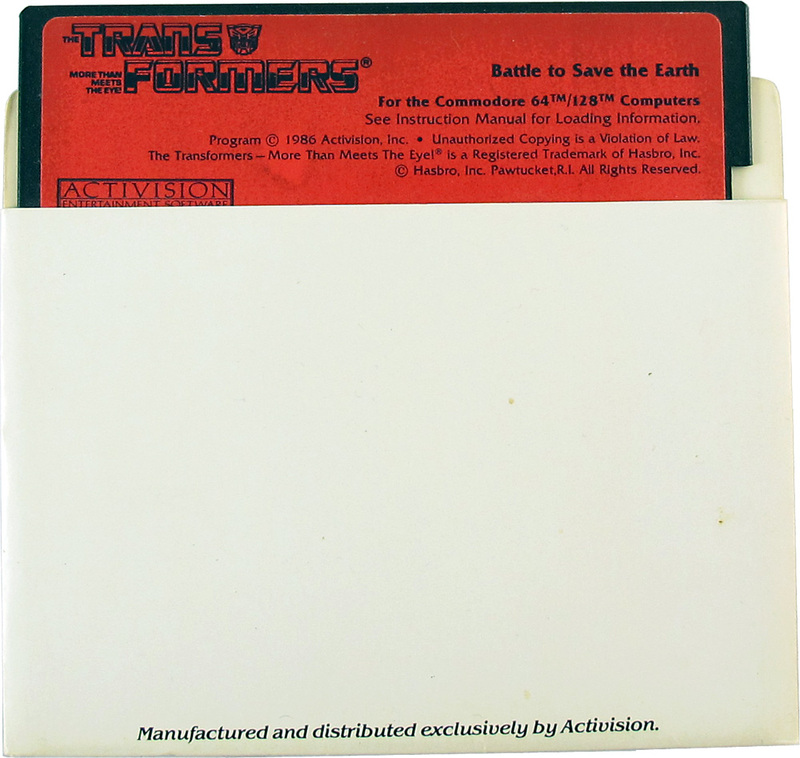 The Transformers: Battle to Save The Earth, is an action role-playing game released by Activision in 1986. 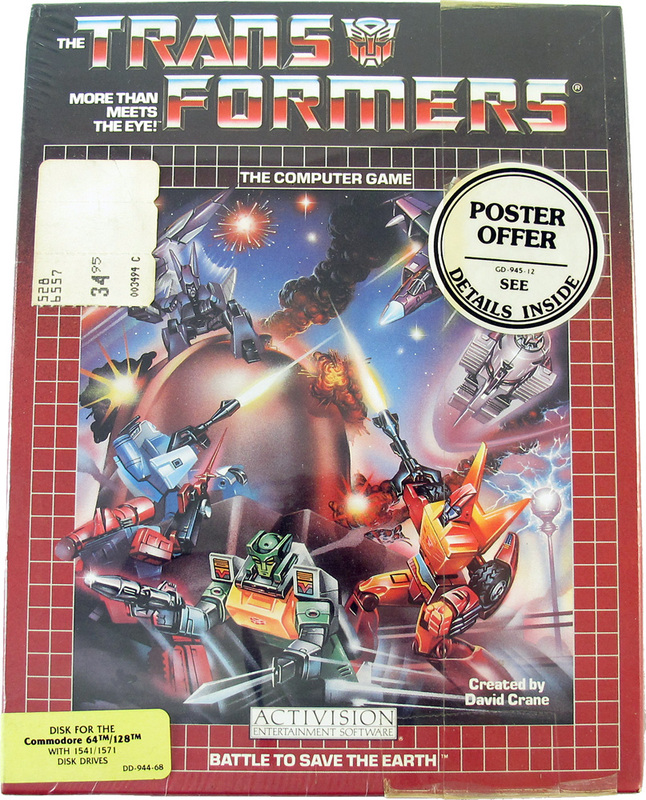 As the Autobots, players fight the Decepticons in an attempt to stop them from stealing Earth’s resources. At the end of the game the winner is decided by which side, Autobot or Decepticons, has the most resource points. A medal is awarded to the player depending on their performance. 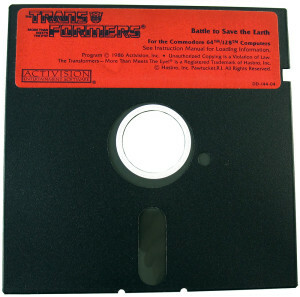 My personal copy of The Transformers: Battle to Save The Earth. I contacted Mr. Crane and asked him a few questions about the Transformers video game. He was very generous with his time. His answers are amazing when you read about all the tricks and technologies he had to implement or invent to complete the project. Question: Did you (or Activision), seek out the Transformers property or did Hasrbo come to you? I was not involved in the initial discussions about the Transformer license – we had a department for that – so I wouldn’t know who initiated contact. What did happen at Activision, however, is that when a possible license was available, the game designers were consulted to determine our interest in making a game based on that property. If we didn’t think a license would add value to a game (or vice versa), we wouldn’t recommend the deal. 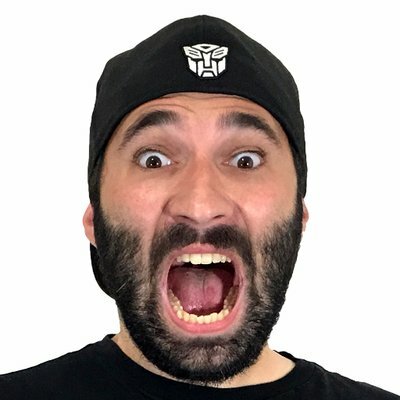 Question: What was it like working with Hasrbo on the Transformers game? They were pretty hands-off, which is the way a game designer likes it. 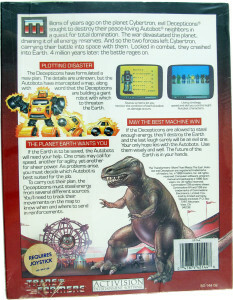 The toy products were available off the shelf for artistic review, and we also had a couple of animated feature films to draw upon. Question: How much say did you have on the story of the game? I personally did not have to interface with Hasbro, and I created the story of the game from scratch. So either they didn’t need story control, or they liked my story enough that comments never filtered down to me from the licensing department. Question: Where you given any source materials to work from? I don’t recall any special, private source materials that weren’t available publicly, such as the toys and films. That said, licensors always provide “camera ready art” of a product’s logos and such. Those things would have been given directly to the game’s artist, Hilary Mills. 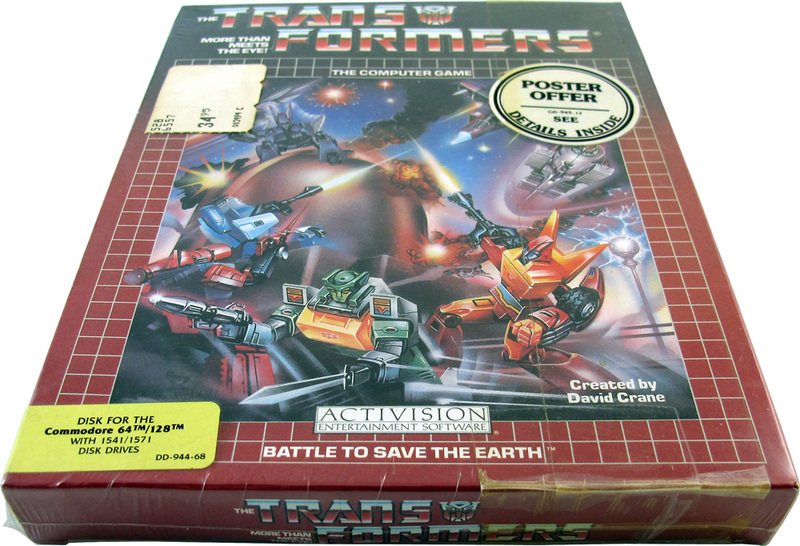 Question: How long did it take to create the Transformers game? 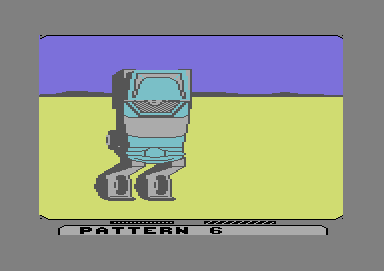 Transformers was a typical C-64 development project, taking about a year to produce. Question: Something that sticks out to me is that the game features both Rodimus Prime and Hot Rod. Essentially this is two versions of the same character. Do you recall the reasoning why the game was developed to show this character in both versions at the same time? 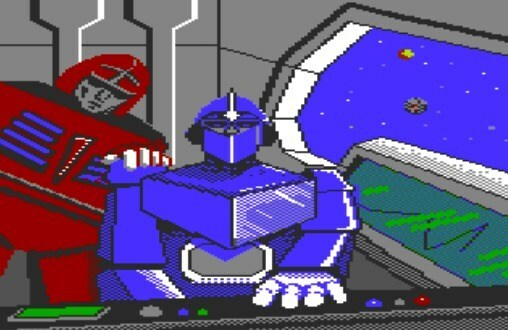 I am not about to contradict you, since I haven’t looked at the game in 30 years, but I remember putting both Optimus Prime and Hotrod in the game. I don’t think I have ever heard of Rodimus Prime (although it is possible that the manual writers mixed up some of the names). Question: Do you have any stories during the development of the Transformers that sick out? Stating the obvious, what was cool about the Transformers toys was that they could transform from a car to a robot using hinges and gears. These days, a video game console renders game characters three-dimensionally, and can thus duplicate those transformations easily. 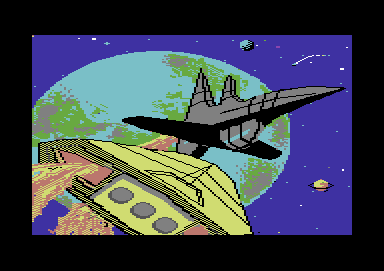 The C-64 had a 2D display and generally had to pre-render every sprite image. 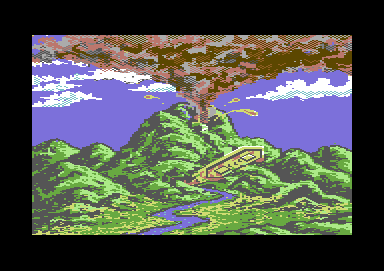 Using a pre-rendered method to show, for example, a 16-step transformation would require all of the Commodore’s memory to store 16 full, large sprite images. I wanted to make the Transformer characters HUGE (for the day), taking up half the screen height. 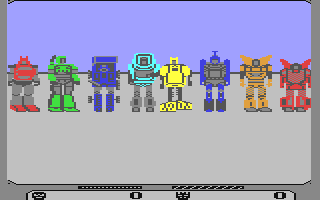 A C-64 disk couldn’t hold 16 transformations of every Transformer in the game. So to make it happen I had to invent a way. I had the artist create a sheet of elements which, if properly superimposed, would create the illusion of rotating, sliding parts to transform from car to robot. I then created a drawing language similar to Postscript that could draw each element from a small data file. When a Transformer was about to transform, I spawned a hidden screen buffer in the C-64 RAM and drew the “element sheet” Postscript-like into the RAM from one compressed data table. From another table I composited a number of the drawn elements into predetermined positions. This table would say “Take N rows and M columns of pixels starting at X,Y in the element sheet, and draw them to the visible screen at X1, Y1. Repeat that process for a number of the elements to composite together each of the interim transformations that the Transformer went through. The benefit was that 16 transformations only took up one “screen” of memory. It was a masterpiece of art and programming. 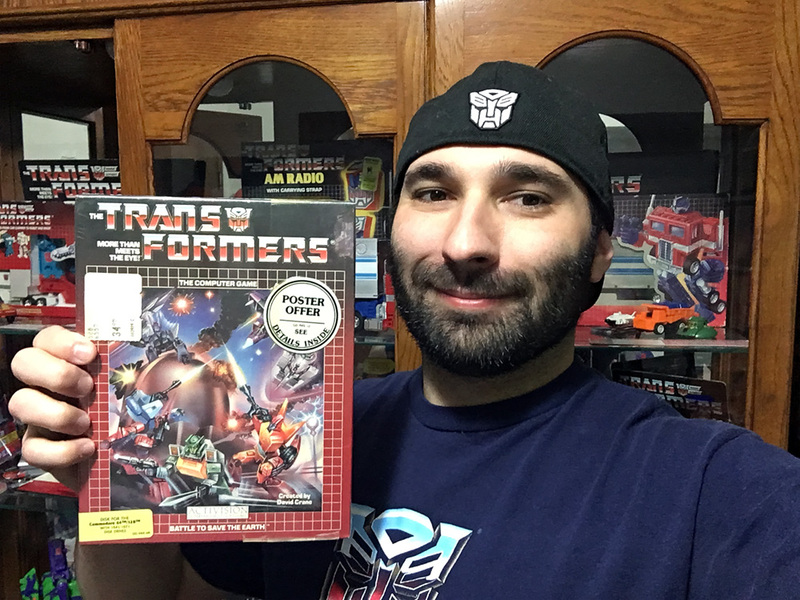 Question: I read on your Reddit – Ask Me Anything interview that the Transformers: Battle to Save The Earth, you created “Digitized Speech” for the Commodore 64 so that the player could hear the entire Transformers history. Is the audio we hear here from an actual voice actor or is it 100% digital? If it was a voice actor, is he someone recognizable? One of the animated Transformers films or TV shows had a narrated story about how these intelligent transforming beings came to be. 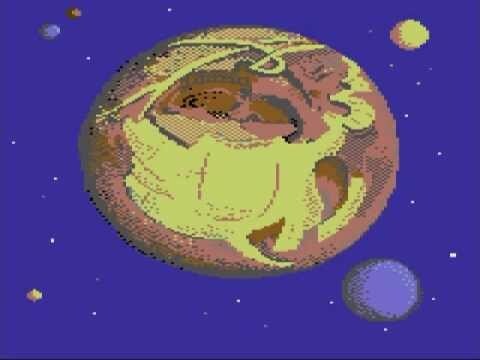 The intro that you hear if you play the flip side of the C-64 diskette is the audio track from this intro, recorded by a professional announcer. In the video version, there were cartoon animations accompanying the story. 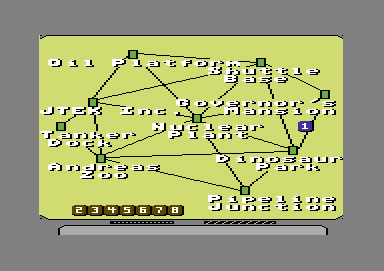 The C-64 could never have accomplished that, so the artist created a slide show from the video version. TO make the C-64 do this, (yet another innovation that had never been done on that platform), I had to first digitize the voice over in a form that the C-64 could produce. (That was 4 bits per sample, although I don’t recall the sample rate.) 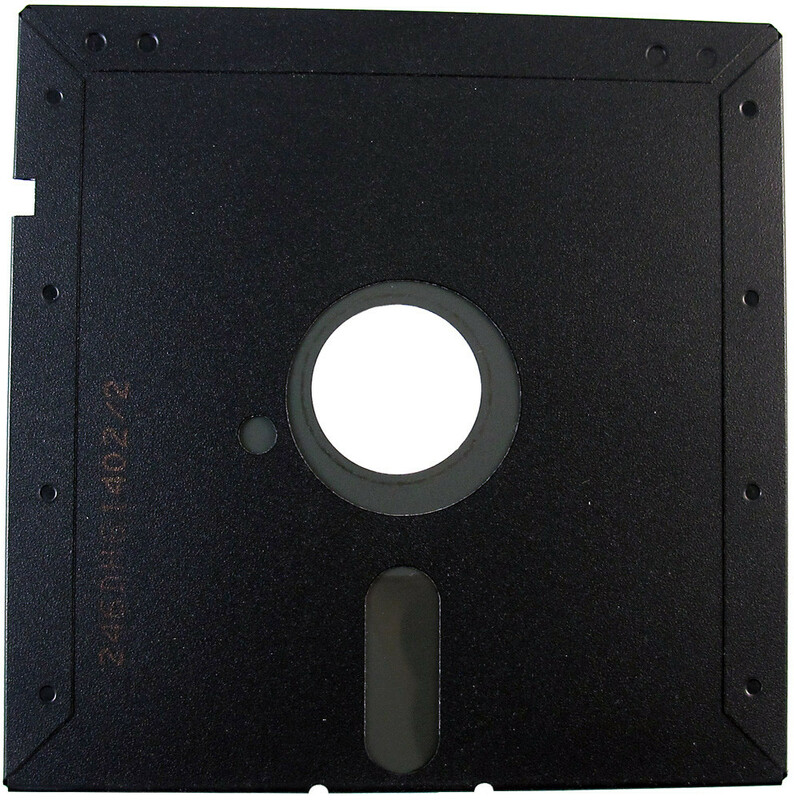 Then I had to write a completely new disk driver, replacing both the driver in the C-64 and downloading a new driver to the 1541 disk drive. 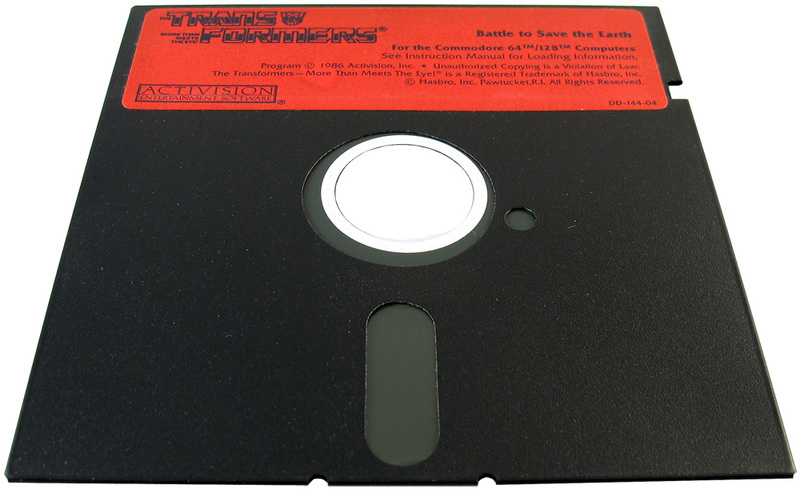 Commodore’s original disk driver was too slow to use for this – I recall my version was 20 times faster than the original. Using this much improved disk driver I was able to download a full screen slide show image (during the silence between sentences), and then download data quickly enough to play the audio voice over while the related slide was displayed. 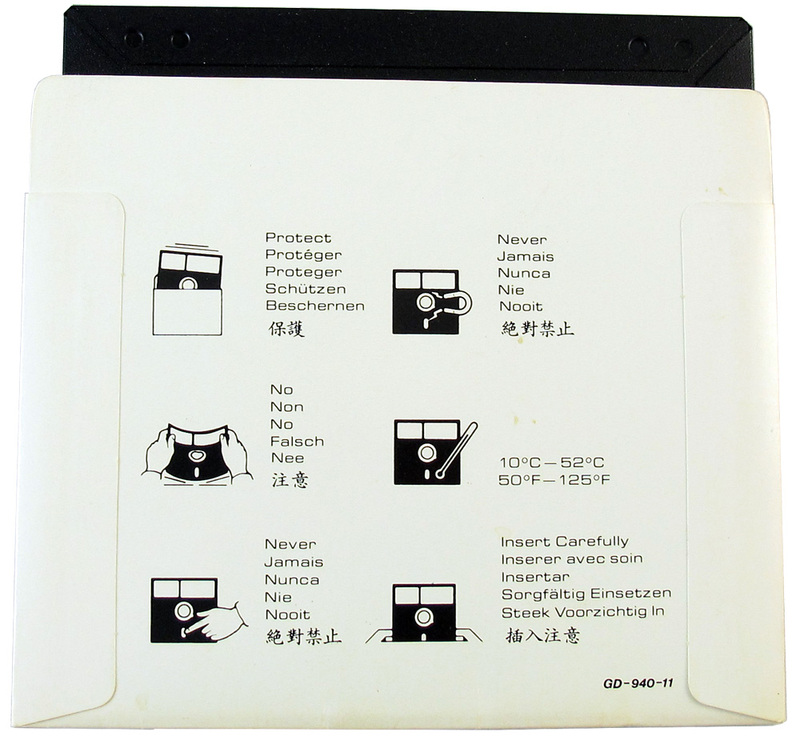 All of that effort went into the content on the back side of the disk. Effort like this, above and beyond the call of duty, was typical of Activision, and part of why our games were so successful. Question: The art here is really quite amazing to look at. Was this all you? Where you given anything to work from? 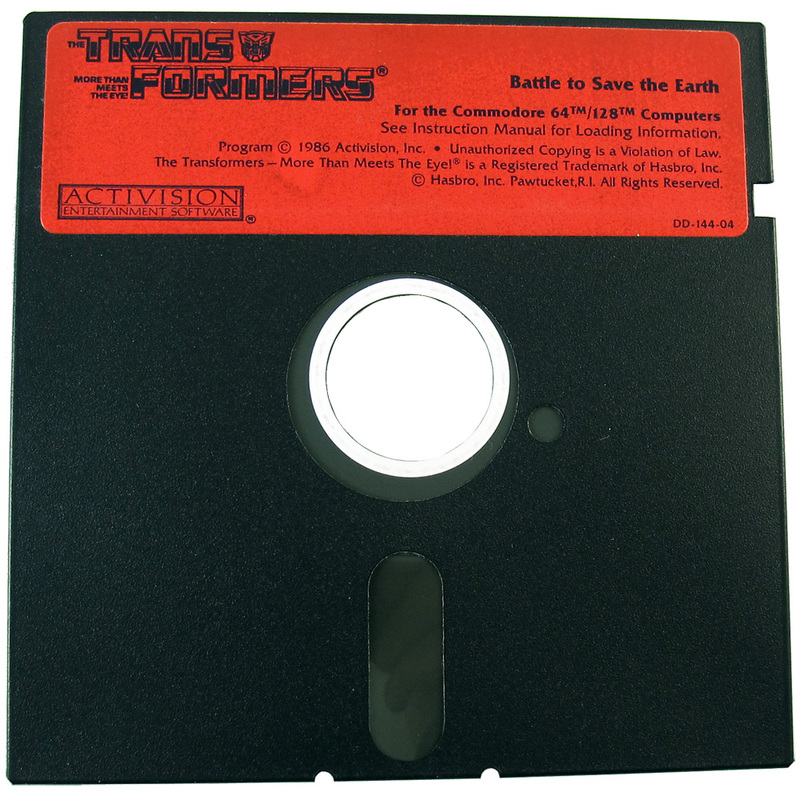 Question: The title screen of the game reads: Vol 1: The Battle to Save Earth. 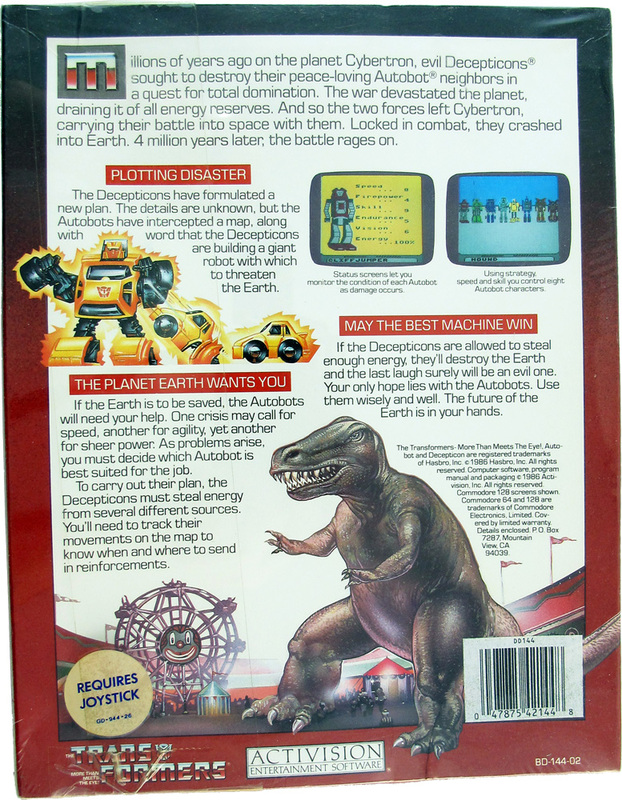 Was there talk that there would be multiple Transformers games produced by Activion? It is unlikely that we would have entered into a license agreement that didn’t allow for sequels. Further games just didn’t happen. I would like to thank Crane for his time. It was a sincere honor and pleasure to have had this opportunity to interview a legend and pioneer in the video game industry. 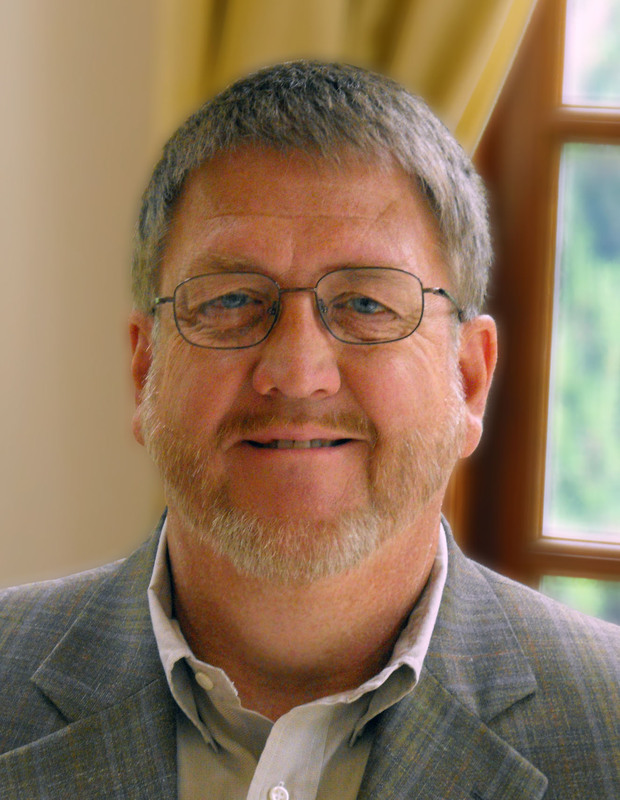 Wikipedia Page For David Crane. Wikipedia Page for Transformers: Battle to Save The Earth. I had that game! So many people didn’t realise that you could actually beat the game. The graphics BLEW ME AWAY then, and the fact that there was voiceover was amazing! To think this game looked top of the line in its time and is so retro now. I saw this game growing up but never got to play it. A friend who lived down the road had it and I remember going over and watching him play it not getting to myself. Transformers Review 67: Rhythms of Darkness!